If you get a DUI in Birmingham Michigan you need an experienced lawyer, because the Judges at the 48th District Court are notoriously tough when it comes to driving under the influence. Hilf & Hilf, PLC provides solid professional legal representation for people who have been charged with DUI in Birmingham. The lawyers at the law offices of Hilf & Hilf, PLC have aggressively fought Michigan felony and misdemeanor DUI offenses for countless individuals. Misdemeanor drinking and driving offenses we defend include: OWVI (Operating While Visibly Impaired), OWI (Operating While Intoxicated), Super Drunk (Operating with BAC over .17), Zero Tolerance Violation (Under 21 With BAC), OWPD (Operating with the Presence of Drugs), and OWI 2nd. Felony drinking and driving offenses we defend include OWI 3rd, and OWI Causing Death or Serious Injury. Although we cannot promise a specific result for you, we will fight hard to obtain the best possible result for you taking into consideration your background and the facts of the case. 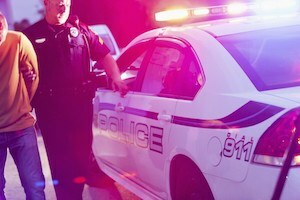 Because the public is theoretically placed at risk with every DUI, these offenses are treated seriously by the Court. Courts are also concerned about repeat offenders, and are sometimes influenced by the media and MADD (Mothers Against Drunk Driving) in the manner they handle cases. Some (not all) DUI offenses result in a mandatory sanctions such as: incarceration, many hours of community service, revocation and/or suspension of driving privileges, alcohol/drug rehabilitation, and vehicle immobilization. A partial list of other possible sanctions for a DUI conviction can include: probation, fines and costs, reimbursement for police/emergency response, drug and alcohol testing, loss of the ability to travel out of State, no bars, attend programs such as a Victim Impact Panel, AA/NA attendance, vehicle forfeiture, points added to driving record, and counseling. The bottom line is that you need an experienced DUI lawyer to represent you. With Hilf and Hilf, PLC on your side, you can be assured that you will be properly defended. It’s important that you seek the counsel of an aggressive and experienced DUI lawyer who can help you through the DUI legal process in order to fight for a the best result, given your background and circumstances. Top tier DUI attorney Daniel Hilf will protect your rights and work zealously to help you resolve your DUI offense - through trial or through plea. If you need legal assistance for a criminal traffic charge or traffic ticket, contact Hilf & Hilf today.